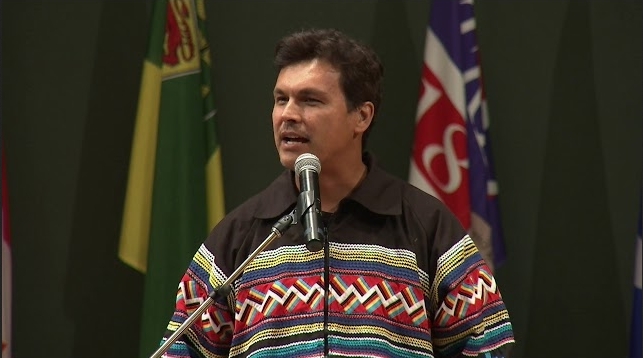 White Wolf : Award-winning actor Adam Beach delivers a talk titled "Rewriting the Hollywood Indian"
Award-winning actor Adam Beach delivers a talk titled "Rewriting the Hollywood Indian"
Adam Beach believes it’s time Indigenous people in Hollywood redefine the way they are represented onscreen. Beach spent the day speaking with students at a series of events hosted by the College of Arts & Science before delivering his keynote talk, a lecture titled Rewriting the Hollywood Indian. During the evening lecture, Beach criticized the negative or simplistic depictions of Indigenous people featured in many mainstream films, as well as the practice of casting non-Indigenous actors to play Indigenous roles. “We as Native people have a voice, a language, a strength that we keep in our hearts to share with people. If you want it, we’ll give it to you,” he said. Beach argued that the change will ultimately have to be driven by Indigenous artists, not by the Hollywood establishment. The Gail Appel Lectureship in Literature and Fine Arts was established at the College of Arts & Science in 2002 by Gail Appel and her husband Mark. The lecture series invites high-profile artists, writers and musicians to speak to students and the general public on campus. 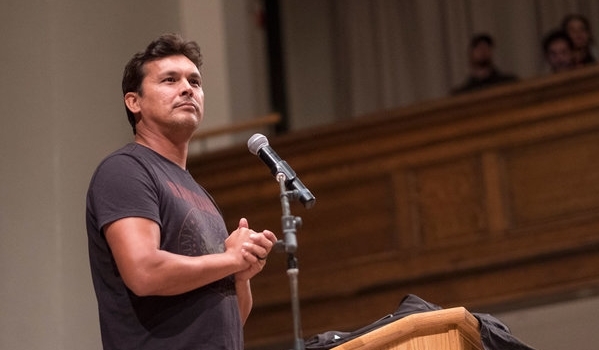 Responses to "Award-winning actor Adam Beach delivers a talk titled "Rewriting the Hollywood Indian" "